Tuesday Morning Sketches: Today is the day! Good Morning! I hope you have your steaming, yummy coffee, tea or chai in hand and you're ready to have some fun. Welcome to the first challenge from Tuesday Morning Sketches, thank you so much for joining me and I hope this becomes one of your favorite Tuesday stops! 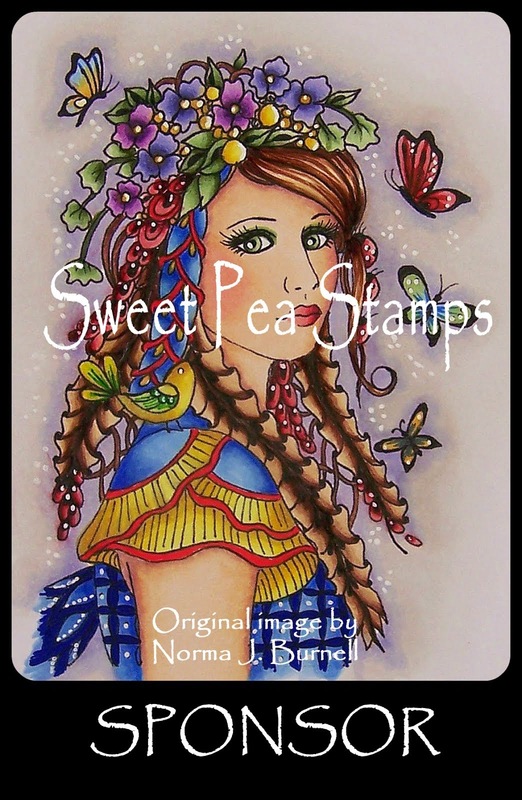 This week's challenge is sponsored by my dear friend Joni Wilson, who is embarking on a new adventure of her own, with designing digi-stamps. 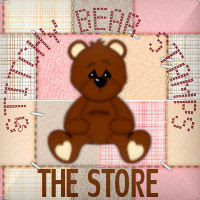 Her digi-stamps are adorable! Her company is called Inktegrity and you can find the blog and link to shopping here. Thank you Joni!! This is actually birthed from boredom at work. I decided I needed to fill my day with something so I decided to try to play around with drawing on the computer. It's an easy sketch and was so much fun to put together - both the sketch and an actual card. Now, let me introduce you to my wonderful design team. They are my sister's. I asked them to do this for me and they agreed, with a bit of hesitation, but when you see their work you will know why I asked them. They are phenomenal papercrafters! 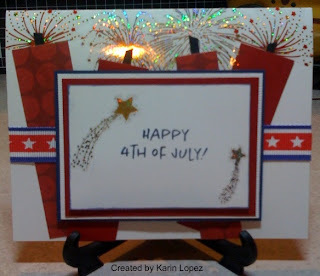 This very patriotic and very beautiful card is made by Karin Lopez. I love her take on the sketch and how she made the 4 panels into fireworks! How they sparkle! Awesome job, Karin!! She made another one, too, but for some reason when I upload the picture, it just doesn't look right. I want Karin's work to have proper justice, so I hope to talk her into a new picture so when I set up a gallery or slide-show, you'll be able to see just how beautiful it is. This Take Me Away card is made by Theresa Winslow and she did a fantastic job on it! She used a set from There She Goes and told me she'd been anxious to use it and was excited that it worked so well with the sketch. You just can't go wrong with a pink and brown combo either! Joni had to join the fun, too! She made this card and sent it to me! This is with one her digi-stamps, Flower Girl and the coolest paper that I believe she got at Michaels. I mentioned yesterday that my cousin had her first baby over the weekend and when I finish the baby blanket that I started for her months ago, this card will accompany it. The Mommy and Baby image is so sweet and was so perfect for what I had in mind. The sentiment is from Papertrey Ink (Boxes, Bags & Tags) and the crib is my own design. I drew it on the computer using nothing but a series of rectangles and circles. Then I used a dollar stamp to add the texture to give the feel that the crib is engraved wood. (Are you feeling it?) Then I drew in a blanket. I didn't have a clue where to start for a mobile and my babies never had a mobile, so I tossed the idea! Please refer to the sidebar how to participate in the challenge. Leave a comment here with the link to your creation. I promise I will visit each and every one of them. Thank you to the newcomers for following the blog. Please email me your address so I can send you a thank you gift. 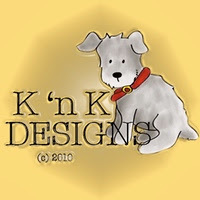 Email me at tuesdaymorningsketches@gmail.com -- Karin and Joni, thank you for sending your friends!!! If you have any questions, please don't hesitate to contact me at the above email address. FABULOUS!! What a way to start off the site Mel! :D I love the card from your sisters - Karin's fireworks are brilliant!!! This would work so well with candles too (hint hint to anyone who needs an idea). And Theresa's card is soooo cute! Love the spa feel to it, p/b is just so perfect for this image. Okay, I totally want that crib. ;) I love what you did with mommy and son, they look so adorable against the soft pallette. LOVE this! Congrats and woohoo! Look at all of your wonderful followers! I love the sketch! I finished the card to upload but... my darn computer is giving me problems... I will try to upload later today after my son's friend takes a look at my computer! I love your new endeavor! fabulous cards and what a super sketch. i LOVE sketch challenges so i'll be here for sure. the best of luck! Great site Mel!!Congrats. I love the sketch and will definitely give it a go. Congrats Mel~the site is wonderful! I love the sketch and everyone did a fabulous job with their cards!!! These all look great. I too love the fireworks interpretation. I have a card all finished and hope to upload it very soon. I have to scan it and upload that way because I don't have a camera right now (darn daughters leaving things in other peoples cars) I will get it up just shortly here. Wow the cards are fabulous! 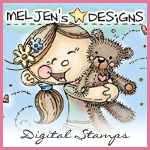 Love those digi stamps!! And that sketch, what a challenge, I love it!! 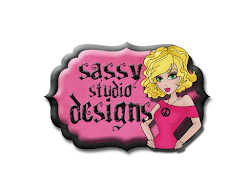 TFS this blog with me, Joni! Mel - Congratulations!!! I 'm so loving this blog already!!!!! The cards are OUT OF THIS WORLD! Best DT a gal could have!!! Thanks for this sketch Melissa! I look forward to next week! I not only made a card using your sketch - but it's also a congrats card to you! Thanks for a great 1st sketch! The cards look fabulous! I'm finishing up my card today, hope to post later. Congratulations on the new blog! Fun sketch which is a great way to start; I'll definitely play!! I love this sketch! I needed a sketch and this one is perfect. Now I need to get my 3 kiddos occupied so I can sneak into my stamping room... Great lineup of cards! Your sisters and you are quite talented and I love Joni's work. Always have! WOW! everyone of these cards are great, I will have to play. Love the fireworks, very creative. This is a FABULOUS sketch! Great to use up some scraps! I just finished another card using your sketch Mel! I love this sketch and can't wait to see next week's. What a ditz...I forgot to include my blog in the above comment! Hi Melissa! I created a card for your challenge this week. It is on my blog: www.roseohio-myblog.blogspot.com I really liked the sketch and enjoyed making the card. I am not sure how to use your code. All of the card from your design team look beautiful! Another great sketch site! Hey Mel....my card is finally ready! As usual I am getting in just under the wire! My card is finished just getting it in under the wire.. I loved this sketch as it let me use some of my scraps of paper that I didn't have the heart to throw away. getting this in by the skin of my teeth and i had to alter the sketch just a bit because my image was a little big. hope it's ok! Okay, I know I'm a little late with this, but I got your email earlier this afternoon and it took me a couple of HOURS to work everything out! I'll try to do better in the future. 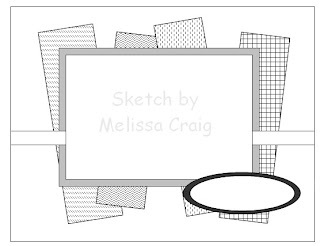 I really liked the sketch, Mel. I'm so excited for you! This challenge is officially closed. Feel free to continue to play and link and share, but join me this coming Tuesday for a new challenge with a new sponsor and new prizes!! Hi Melissa! What a site you have here, I LOVE sketches!! I saw Angela's card above yesterday and had to try the maiden sketch! Here is a card I made based losely on your sketch. It was a blast to make and I will keep tuning in every week! I wish you continued success! !